MAAFA is a kis swahili word meaning the great tragedy or calamity. It is the story of the Black Holocaust, told from many viewpoints. Each year a diferent story or group of stories are highlighted in these productions. 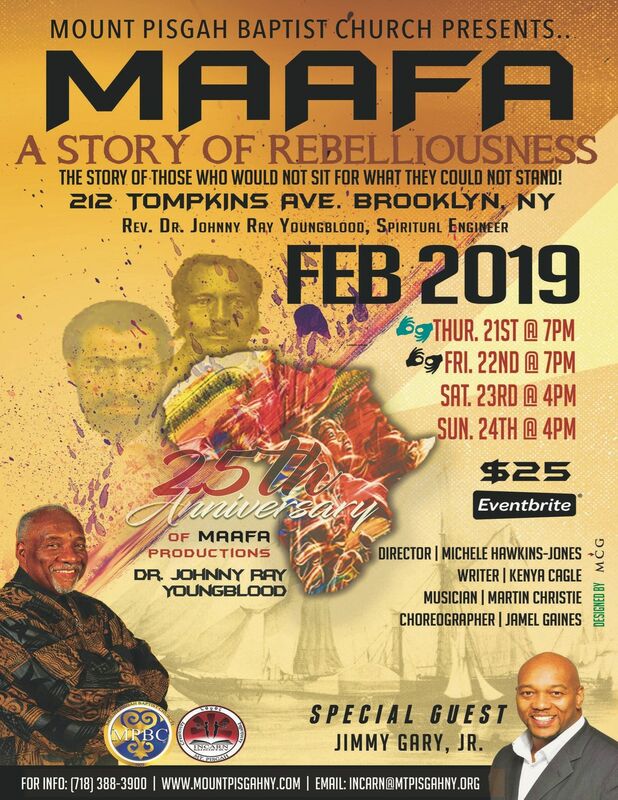 This year marks the 25th year of MAAFA created by Rev. Dr. Johnny Ray Youngblood. 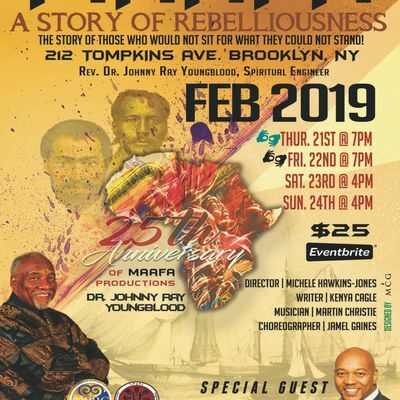 MAAFA Rebelliousness will feature stories of two black men who refused to live their lives as helpless, weak men. One is the story of Anthony Crawford, an entrepreneur who had a temper that cost him his life, whose death exemplified pure hatred. After his death, his family was robbed of their inheritance and made to leave Abbeville. The other story is about the legendary Nat Turner. Nat Turner lead the greatest slave insurrection in American history! His actions changed the world. Born a slave, he became a preacher and heard the “calling” to save his people.